"Understanding the balance between the optimal training load and recovery and recuperation is critical to success in professional sport. Combine this with the ability to structure an athlete specific injury prevention programme and you have the complete package in sports performance. Leah provided this structure during my time as Head Coach of Saracens, our training days missed due to injury decreased by over 50% in 18 months as a result of her programmes." Leah was a crucial part of my rehabilitation. Her attention to detail is second to none when it comes to the finer details which allowed me to overcome a major injury. My rehab lasted a gruelling year which was very hard to stay motivated, but having Leah with me every step of the way, she was always there to spur me on and make the process a lot more enjoyable. I've now come back from my injury a lot faster and stronger! I believe Leah can do this with any athlete." 'Leah is one of the most proficient, skilled and competent S&C coaches I have worked with. Her humility belies her intelligence, diligence and attention to detail, which are always evident in her tailored rehab programmes, all undertaken within a relaxed and ultimately fun environment. Her measured sport-specific approach has strength in its versatility and breadth, adaptable to the ever-changing needs of any athlete throughout the rehabilitation process. I have complete trust in Leah's ability to rehabilitate and guide any athlete back to their sport a stronger competitor." "Leah worked hard on getting me back fit for the world cup when I was in a right mess. She’s hard working and honest and really helped me achieve my goals." "Saying yes to running 10km for charity seemed like such a good idea at the time. Then I remembered that I had three children under the age of 5 and wasn’t a runner – I was either going to fail miserably, or injure myself, or both. Thank goodness I had the sense to seek out Leah! In a calm, caring and professional way she built up my stamina and strength. In our training sessions she always managed to get me to do more, or go further than I thought I could, so that I always finished with a sense of achievement. I was never bored! We laughed a lot. Leah designed just the right kind of ‘homework’ sessions for me so that I actually wanted to do them. She got me boxing, which I loved and after I’d made her proud by completing the 10km (in a respectable time!) we then refocused the sessions to help me get physically ready for a horseback safari in South Africa. Feeling fitter and stronger than ever and with a new found enthusiasm for sport, rather than just exercise, I have continued riding ever since.."
Three knee ops in 4 years; hyper mobile naturally; a sedentary job with long hours and working away from home during the week; along with the history in sport and training that makes you think you’ll be able to push it and do something cool again makes for a terrible prospect for a coach. Poor Leah got that. A referral from a very good physio made me go along. Don’t usually get on with trainers, they don’t listen to the feedback the body is giving them via your tweaks and ouches… Leah was different. Training what she could train whilst protecting the bits that needed protecting in the first instance. Stability and strength is very important for a recovering hyper mobile. She understood that and trained with me and my tweaks and ouches. The tweaks and ouches got less. Throughout Leah was encouraging, had great humour but serious enough for me to listen and do as I was told. We all know that it’s difficult to find a trainer or coach that fits for the individual as well as has the skills to fix stuff. I believe Leah will fit for anyone who wants to work. Her skills are second to none. She’s recently completed more studying with some of the top people in the discipline to progress her knowledge and continues to learn. Leah is fun to work with but doesn’t let you off the hook and that’s a very difficult balance for complex rehab. Thank you Leah. "For me Leah Is an all round excellent strength and conditioning coach from beginners to elite level. Leah is honestly an excellent person, she is caring and has a true understanding of you as a person and what you want to achieve and will help you to get there. I feel personally for me she kept me grounded but also empowered me to have faith in my training and believe I was going to get better and stronger to show my true potential as an athlete, due to her training I am definitely a stronger, coordinated, well balanced athlete and have made huge progressions in all areas. I worked with her during the most important part of my career during the transition phase of an junior to professional athlete and owe a large amount of my success to her. Big thanks Leah. " 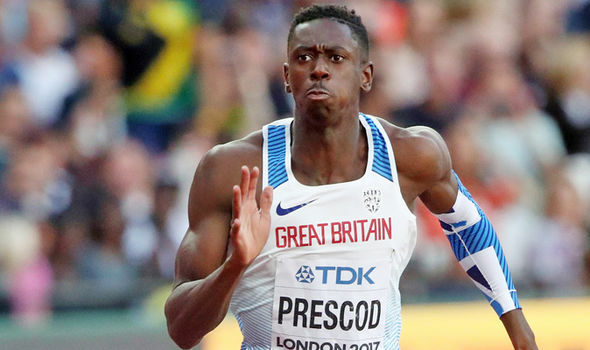 Reece Prescod, British 100m champion, European 100m silver medalist, 2018, World Athletics Championships 100m finalist, 2017. "I started working with Leah in 2011 following a period of continuous break down and injury. The strength and conditioning programmes Leah builds for me have been an integral part of my training regime and have helped me literally rebuild my body and come back stronger, fitter and leaner." Marilyn Okoro, 800m British Champion, 2011-12 & Double Olympian, Beijing Olympic Bronze medalist (4x400m). "After suffering my 3rd ACL in 2013 I began working Leah. Its tough mentally to come back from 3 serious injuries but with Leah's positive and refreshing attitude she helped me take the steps in the right direction. Along with her experience of working with top athletes comes the understanding of what it takes to be successful at the highest level. Leah has helped me make a full recovery with tailored strength and conditioning programmes, progressing me through stages of my rehab and adapting to ups and downs along the way. I am now back to my best representing both club and country again. I 100% trust Leah's expertise and look forward to continuing my work with her leading up to the 2015 Women's World cup in Canada and beyond." "I worked with Leah for two years and during that time she helped me recover from a broken collarbone as well as tackle some longer-term bio-mechanical weaknesses. As an amputee, strength and conditioning isn’t always as straight forward as someone who is anatomically ‘normal’. 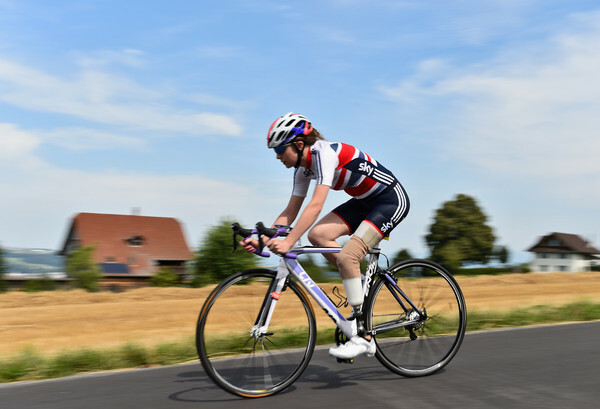 Leah worked tirelessly to create a programme that worked for me and that focussed on my specific requirements as a cyclist. Working with her has undoubtedly made me a better, and much stronger athlete." 'At 38 I had not felt fitter or stronger since my university rowing days, but my successful completion of the dakar really proved just how effective my training had been. my body had to cope with the extreme demands placed on it 12-24 hours a day for 2 solid weeks across 9000km of South America's dryest deserts and highest mountains. Training was varied, including gym work, swimming, cycling and running. this kept me motivated and focused when trying to fit training in 6-7 days a week initially, ramping up to twice a day 6 days a week for 2 months. The programme steadily brought my fitness and strength up to the required levels, with regular breaks to prevent over-training.